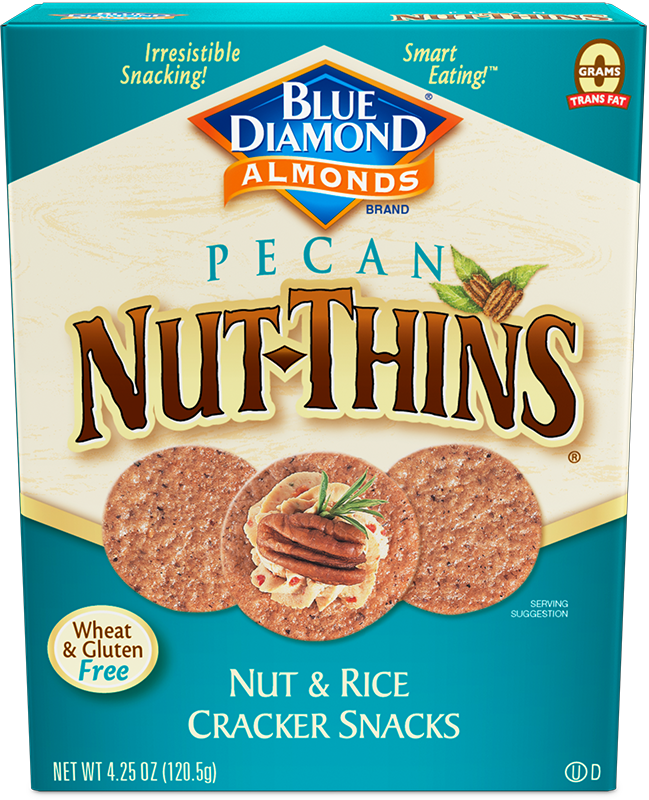 Our Southern friends who grow pecans agree that Nut Thins is a great way to enjoy their nutty richness. Made from rice flour and pecans, they're the perfect guilt-free snack! RICE FLOUR, PECAN MEAL, POTATO STARCH, EXPELLER PRESSED SAFFLOWER OIL, SALT AND NATURAL FLAVORS (CONTAINS MILK).